Segmental spaulders are made of waxed leather of 3.5-4 mm thick. They are fastened with leather belts with brass buckles. Parts of spaulders are riveted with rivets and burss, coloured in black. Relief is tooled on the leather. 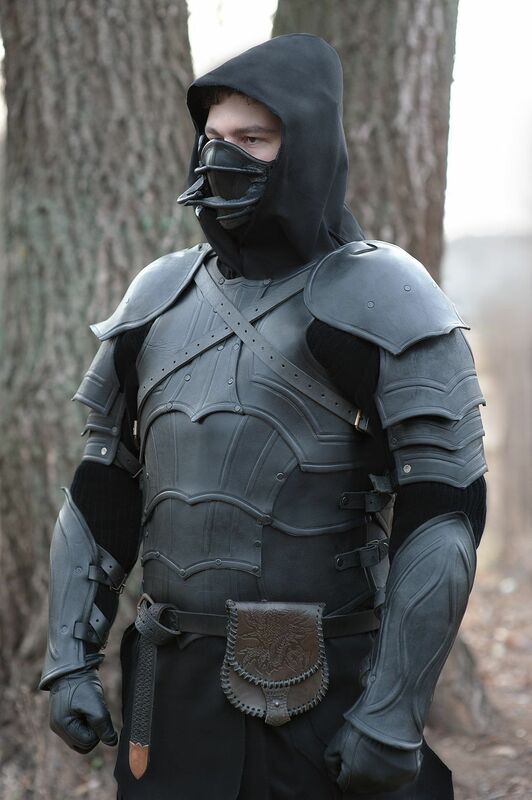 This model of spaulders creates full LARP-armour together with bracers, cuirass and mask. Hand-made bracers are made of waxed leather 3.5-4 mm thick. They are fastened with leather belts with brass buckles on the arm. Relief is tooled on the leather. Colour of leather can be black or brown. Simple steel rivets and burrs are painted in black. 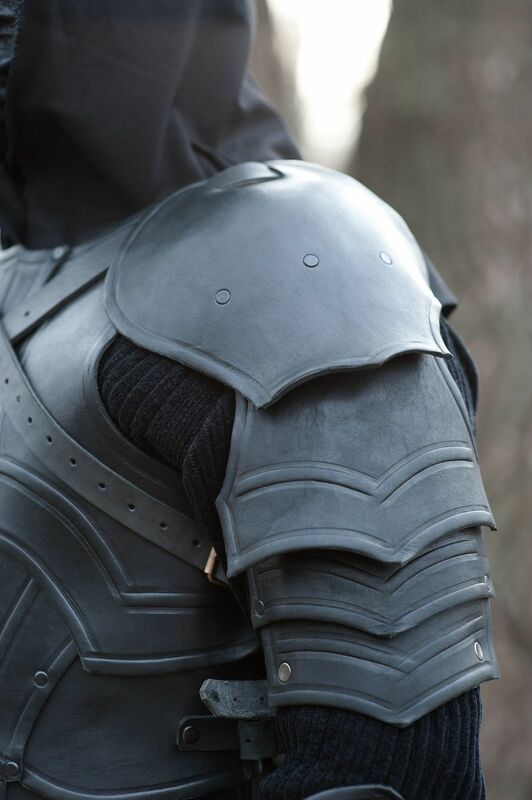 Together with spaulders, cuirass and mask, these bracers make full LARP-armour. If you want any amendments to be made in this model, please contact us [email protected] Gloves are not included to the price. ..
Bracers are made of waxed leather 3.5-4 mm thick. They are fixed with leather strings on the arm. Pattern is tooled on the leather, silver shadows are made by paint spraying. Bracers are part of female fantasy armour. 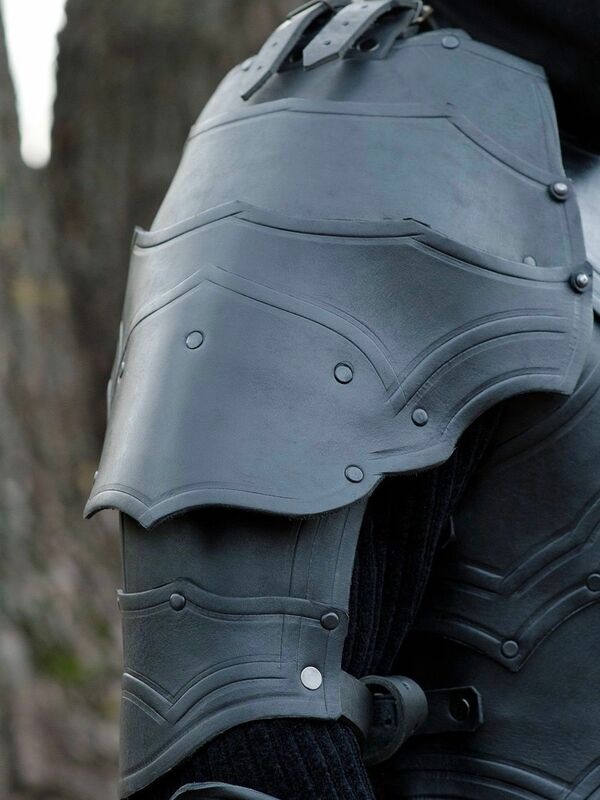 Combined with spaulders, corset and greaves, bracers create a character of brave warrioress. Please contact us at [email protected] to agree the wished colour and decoration. ..
Full Body Armor Steel Mannequin, painting in any color at your choice and has reliable fastenings. That is your possibility to build from the simple mannequin stand cool knight at any clothing and armor. That’s really easy to do it, just use manual. And now step-by-step lets dress your Terminator! 1. Fix mannequin legs to pedestal (PEDESTAL IS NOT INCLUDED IN THE PRICE) with the four longest bolts so he cannot run away. Just put bolts through the holes in legs and fix them inside the pedestal with washer and wing nut. 2. Put the pants on. 3. Put hips on legs and fix them with pins (they chained to the legs, so you will not lose them). We marked a suitable level of docking. 4. Now the body. First of all dress Mannequin body in doublet, gambeson, aketon, chainmail or whatever he wears under armor. Just unscrew his hands, put under armor on and fasten his hands back. 5. Ok, now you can put on and fix his body on hips with a pin (it chained to the hips). Suitable level of docking we marked for you agai..
ITALIAN ARMET WITH RONDEL, MIDDLE XV CENTURY In front of you is Italian armet - one of the most interesting and versatile middle ages helmet adorning the rich collection of the Metropolitan Museum in New York. https://collectionapi.metmuseum.org/api/collection/v1/iiif/23227/61180/main-image This helmet reached us, having lost his visor and rondel in the darkness of the ages, but we recreated them with the visor and rondel of his brother Armet, who also posing in the Metropolitan Museum. https://collectionapi.metmuseum.org/api/collection/v1/iiif/24686/1521997/main-image This armet is a part of The Avant Armour, one of the oldest near-complete armors in the world. It is dating about 1450-1485, was crafted in Corio workshop, Milano, and was belong to Fon Matsch, the owner of Churburg Castle in 1450 and you can see him in Kelvingrove Art Gallery and Museum, Glazgo, Scotland. 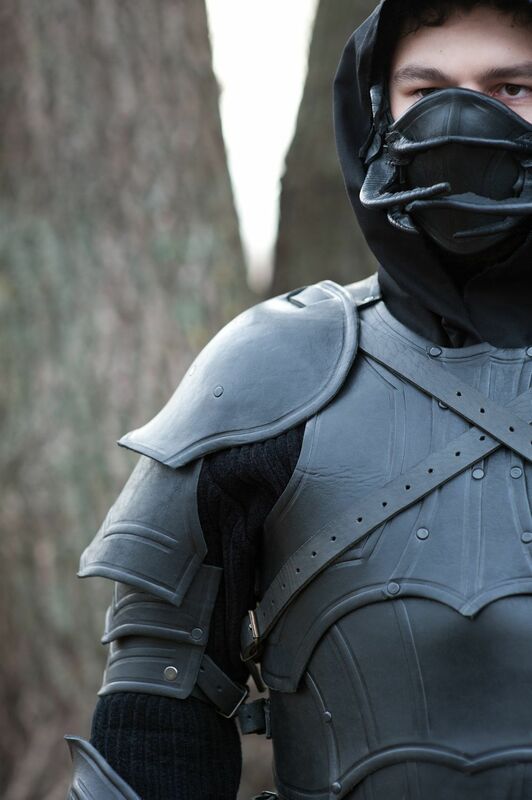 Armet was the typical medieval knight helmet of the fully armored equestrian knight throughout most of the XV century. Its smooth, c..